Travis Waldrop | Carr Development, Inc.
Travis Waldrop joined Carr Development, Inc. in 2011 bringing with him more than a decade of experience in commercial real estate. 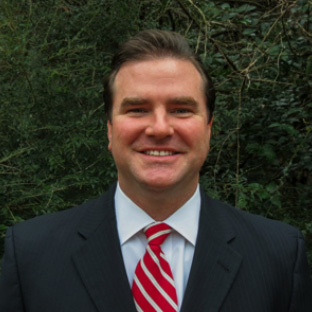 After graduating from the University of Texas at Austin with a degree in finance, Travis worked in commercial real estate lending specializing in interim development and permanent financing as well as site selection for a retailer managing a territory of several states. This background is uniquely tailored to meet the multi-faceted needs of today’s tenants and property owners. Using his expertise in financial analysis as well as lease and contract negotiation, Travis assists local and national companies in both the acquisition and disposition of real estate. His clients have utilized his services across Texas and in several other states. Travis is a CCIM Designee and is very active with the Central Texas CCIM Chapter including holding several leadership positions as well as serving on the Board of Directors. He is also a member of the Real Estate Council of Austin, the International Council of Shopping Centers and the Texas Exes. Travis resides in Austin with his wife, Jacquelyn, and their two children, Ashley and Jackson. In his down time, Travis likes to play golf and, as a lifelong sportsman, enjoys hunting, fishing and spending time in the beautiful hill country surrounding Austin.